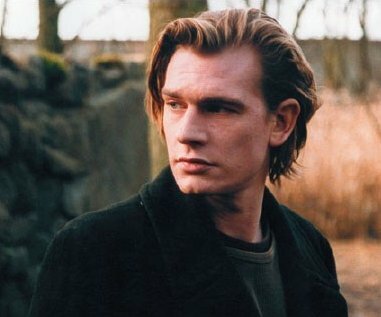 Guillaume had starred alongside his father for the first time in director Alain Corneau’s Tous les matins du monde (All the World’s Mornings) in 1991. 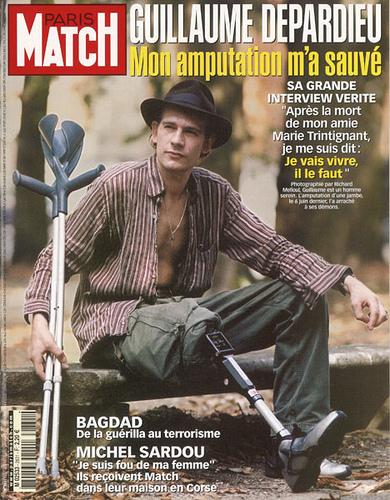 He had his right leg amputated in 2003 as result of a hospital infection developed during operations to recover from a motorbike accident in 1995. Guillaume D. relished working with Jacques Rivette in “Ne Touchez Pas La Hache” based on Balzac’s novel. Guillaume D. was in Pola X. Saw this movie called Pola X many years ago, I just found out this is another film loosely based on Herman Melville. (Beau Travail by Claire Denis is another example). The film is loosely based on the Herman Melville novel Pierre: or, The Ambiguities. The film title is an acronym of the French title of the novel, Pierre ou les ambiguïtés, plus a Roman numeral “X” indicating the tenth version of the script draft that was used to make the film. Pola X has been associated with the New French Extremity. Note: Imgmar Bergman loved “Tous les Matin du Monde’ directed by Alan Corneau. Later Alan C. made a film “Fear and Trembling” with Sylvie Testude who memorized Japanese text full of lengthy dialogue phonetically. Official site for Fear and Trembling here. This entry was posted on Monday, October 13th, 2008 at 3:20 pm	and is filed under Cinema, Music. You can follow any responses to this entry through the RSS 2.0 feed. Responses are currently closed, but you can trackback from your own site.